Ford is set to debut a crossover version of its Figo hatchback next year. While we have seen spy images of camouflaged test mules before, this is the first time that undisguised images have surfaced online. Like other hatchback-based crossovers - Hyundai i20 Active and Volkswagen Cross Polo, the Figo crossover also boasts a more rugged look thanks to black body cladding. The front end features a black mesh grille, smoked headlamps and a new bumper with a black air dam and circular fog lamps. It has backed-out roof rails, B-pillars and ORVMs with integrated turn signals. This particular car has a black decal on the bonnet and wind deflectors, which could be part of the accessories package. 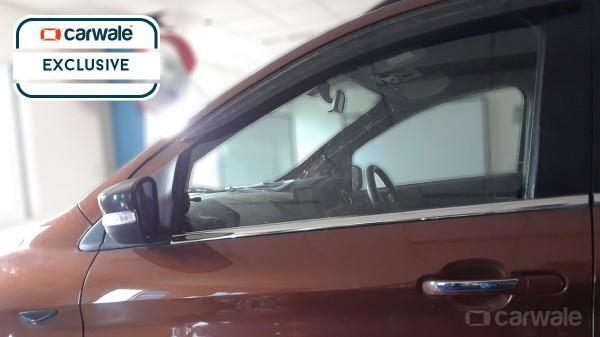 The chrome door handles and the chrome strip along the window line might also be optional. Inside, the Figo-based crossover gets a redesigned dashboard. 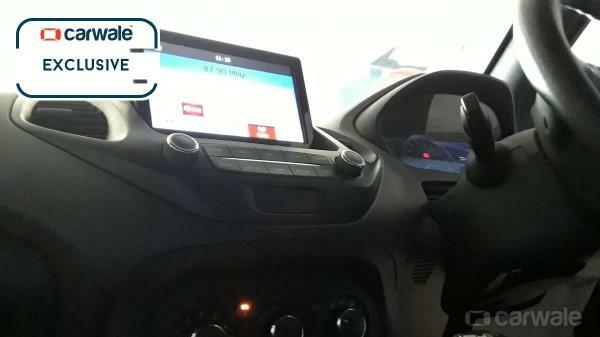 Like the new EcoSport, the centre console on the Figo crossover houses an upright touchscreen infotainment system. The lower part of the centre stack is occupied by the air-conditioning module. The new Figo-based crossover will be powered by a new Dragon 1.2-litre, 3-cylinder, naturally-aspirated petrol engine. 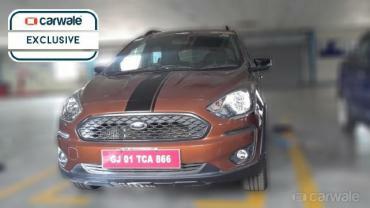 It is based on the 1.5-litre Dragon series petrol engine that recently debuted on the EcoSport. The downsized unit reportedly makes 94 BHP of peak power and 115 Nm of torque. The engine will be mated to a new Getrag-sourced 5-speed manual transmission. 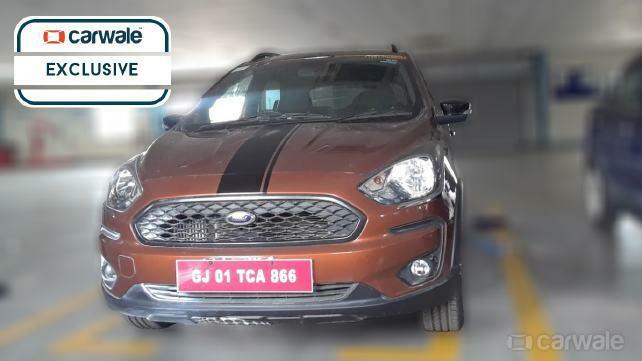 The Figo-based crossover is likely to debut in H1 2018.